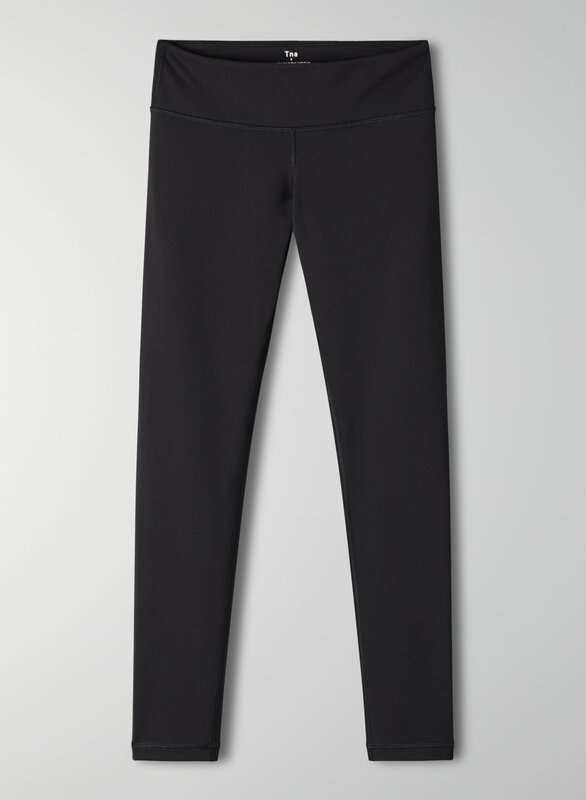 Comfortable, versatile and great for working out (or hanging out). These are mid-rise leggings with a custom Spiro print at the back. This version of the Equator Pant is made with a super-soft stretch fabric so it’ll hug you in and keep its shape with wear. I usually buy Lululemon however decided to try these based on the feedback. And WOW a fraction of the cost...amazing quality, fits like a second skin and best part of all as an animal owner, several cats and a dog...the hair does not stick to them. I am definitely going to buy many more pairs. the material is soft and warm and the fit is great! Much better than the other leggings I've purchased from Aritzia. I feel like this one won't rip as easy as the other ones I've purchased before. Time will tell.